Our family enjoys growing berries. We welcome you to our farm and home. Enjoy the berries, please ask questions and have fun. Ron grew up on the farm and has always enjoyed growing things. He started his first garden when he was only four years old. Ron is the third of six sons. When he graduated from high school he joined the army and was trained as a mechanic. After leaving the army he made his way back to California to be near his family. In 2009 Ron, Ryan and Corrie decided to start growing blueberries. When Ron isn't farming he works as a mechanic for a dairyman in Escalon. He spends most of his spare time building specialized equipment. He is often at the farm weeding, picking berries, mowing, pruning and taking care of the farm. In his spare time he enjoys working on old cars and always has a few projects he's working on. Ron and Sarah have four kids. And Ron loves to spend time with his kids and teach them about farming. Sarah did not grow up on a farm. She enjoyed spending time at her grandparents almond orchard and is not a stranger to country life. She was born in Modesto but grew up in Washington state, near Seattle, an area know for growing blueberries. When Ron and Sarah married she was working for an optomotrist in Oakdale. When Ron and Sarah started having kids she became a full time mom. Sarah spent her college years working in retail management. So when the decision was made to open the farm to upick she naturally took that on. Sarah has always enjoyed being able to bring her babies to work. Now that they have gotten older she is enjoying having them in the barn to help out the customers. Cornelia is Ron's mom. Corrie VanderHelm Davis emigrated to California from the Netherlands in 1967 with her husband. Arend worked on a few dairies until they saved up and were able to purchase their own dairy. After Arend passed away Corrie leased the dairy facility out. In 2009 two of Corrie's six sons took out the dairy and planted blueberries. In 2007 Corrie remarried and gained 2 more sons. She has 24 grandchildren so far. 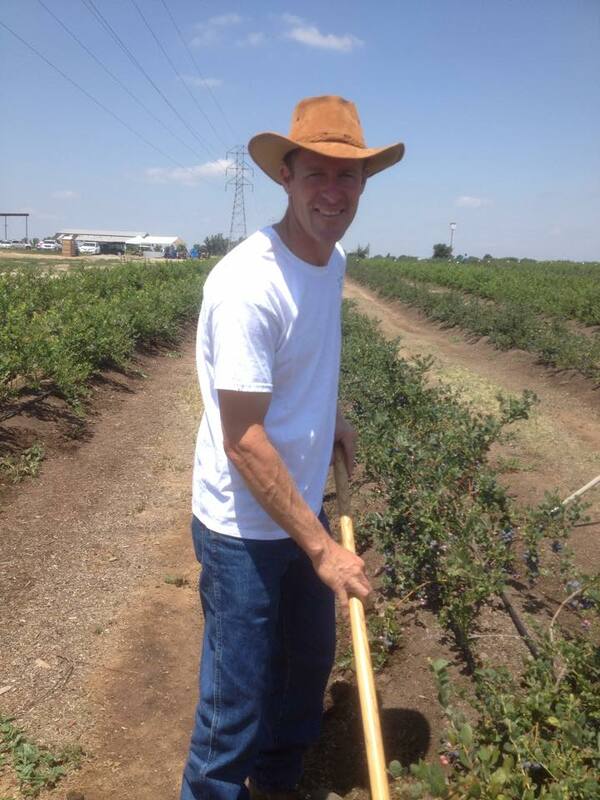 Corrie is a painter in addition to a blueberry farmer. Her oil painting studio is in her home in Escalon. She has won many awards for her beautiful paintings. You will often find Corrie out in the field pulling weeds and picking berries. She always has a smile and some friendly advice about picking berries.